“Despite the fact that the country and the whole world were shocked by the armed robbery that took place in Rinas airport, no answers have yet been given to the numerous questions that have been risen. 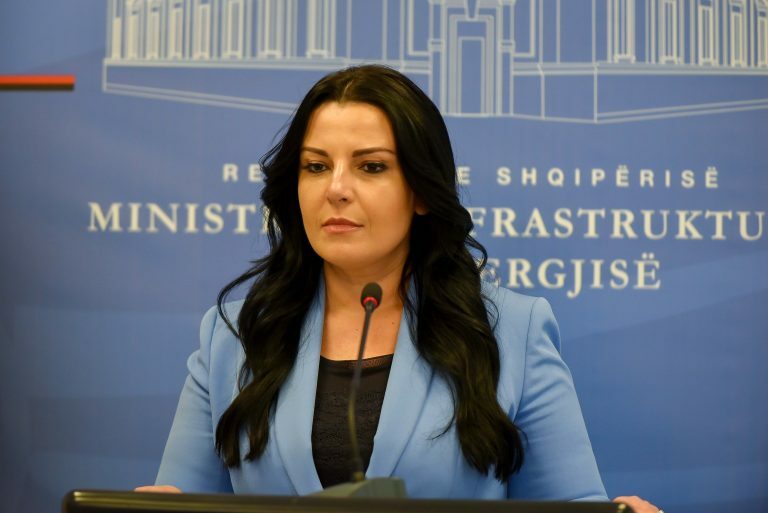 Rama is trying to justify the failure of police, the government and the state by laying blame on a private company.” This is how the leader of the Democratic Party, Lulzim Basha has commented the armed robbery of a significant amount of money taken place in the country’s international airport, Rinas. According to the opposition leader, this showed the failure of police and how the state surrenders in front of criminals. 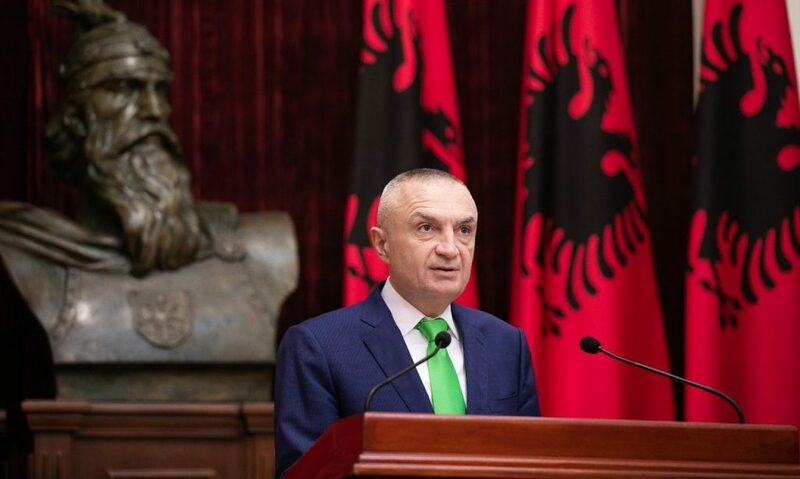 Basha has also accused Prime Minister Edi Rama of plundering Albania along with his oligarchs, while considering the heist taken place three days ago part of what is currently happening in the country. “The heist taken place in Rinas is not the only thing happening in this country. 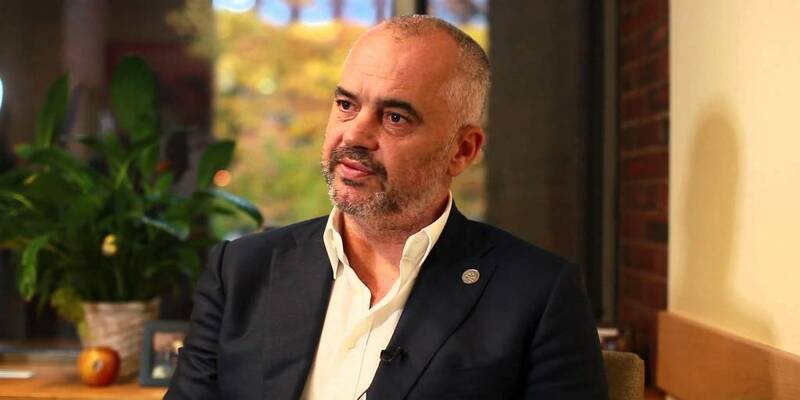 I could also name the abductions taking place in Vlora, businesses being robbed at gunpoint, killings and abductions of bankers and all of these started when Edi Rama came into power”, Basha declared. On the other hand, the democrat leader said that the armed robbery that occurred at the airport could have been prevented. Basha said that the mastermind of this heist, Admir Murataj had been declared wanted six years ago, but authorities had not yet been able to catch him. “If police had complied with the order that Interior Minister issued on 5 August 2018, then this robbery could have been prevented. This order states that amounts over 950 million leks must be escorted by police. Meanwhile, none of the security elements were in place. How is it possible that Admir Murataj had been declared wanted for the past six years and he hadn’t yet been caught? Instead, what he does is plan four robberies in three years”, Basha publicly accused. 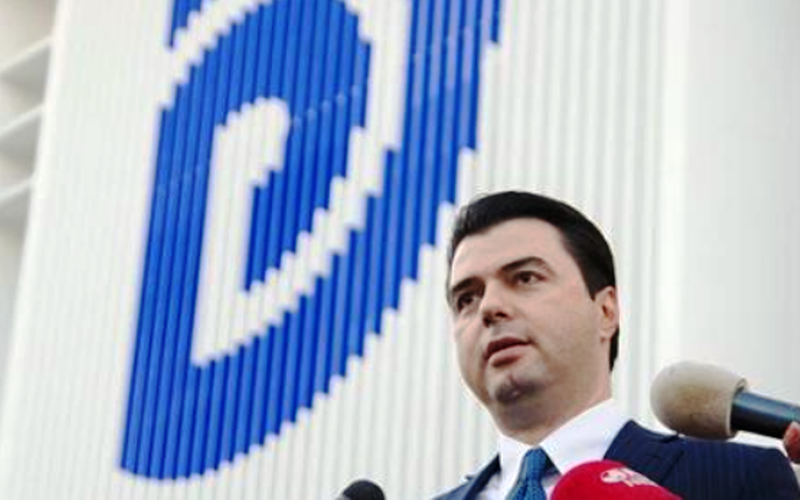 According to the opposition leader, Sander Lleshaj is in violation of the Constitution for accepting to be appointed by PM Rama as chairman of the Board of Directors of Civil Aviation. “During the time Lleshaj has acted as chairman of this board, the airport has been robbed in two occasions”, Basha also said. According to him, the only way out of this situation is by rising against the government. Therefore, once again he invited citizens to be part of the April 13 anti-government rally which will be organized in Tirana. The President of Republic, Ilir Meta has officially demanded information from the Chief of Staff of the Army, Brigadier General, Bardhyl Kollçaku regarding the dislocation of Armed Forces at Mother Teresa international airport. Meanwhile, two days ago, the president also made a special public appearance during which he criticized authorities for not taking the necessary measures to prevent the heist from taking place. The president also said that in a previous meeting of the National Security Council, he had issued special instructions regarding the security of the only airport in the country. “Those who talk about Constitution, state of war, military junta and other insanities like these, must find some other reason to prove how much they care about the Constitution and democratic standards”. This is how the Prime Minister of the country, Edi Rama reacted yesterday following the criticism launched by opposition regarding the decision to send military troops to the only international airport that the country has, in order to handle security there following the robbery of 10 million euros by a group of gunmen three days ago. In order to justify his decision, Rama has also posted a few photos showing presence of military forces in airports in Paris, Venice, Frankfurt and Amsterdam. According to Rama, the military was sent in these airports to respond to threats on airport infrastructure and people using them. “Meanwhile, our military police is in charge of only the external perimeter security”, Rama added. Let us recall that the Albanian Prime Minister will attend today the annual summit between China and Southeast European countries, which is considered to be a very important event for relations between China and our region. This summit takes place at a moment when authorities in the country have targeted the Chinese company in charge of Rinas airport about the robbery of 10 million euros. The summit will be attended by the Chinese Prime Minister as well, but it is not yet known if he and the Albanian PM will discuss this topic. 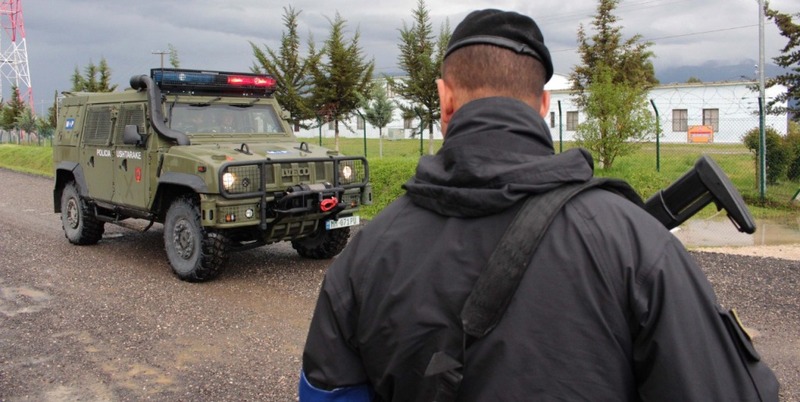 After the robbery taken place three days ago, the Albanian government accused the Chinese company of being responsible for the theft of the amount of 10 million euros that the gang managed to drive away with. 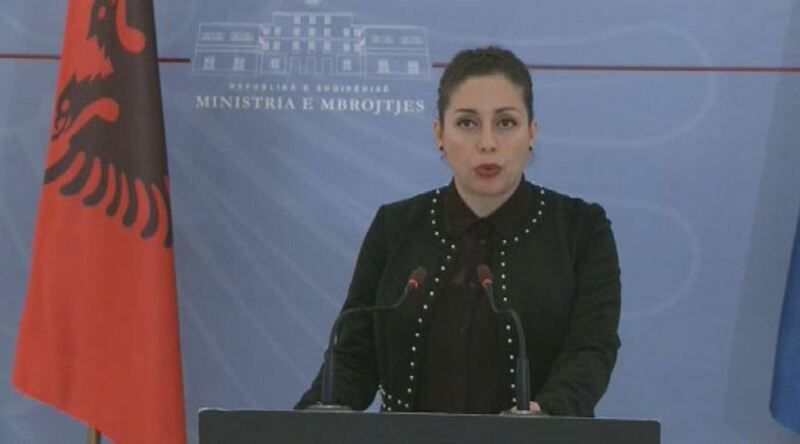 “Armed Forces have a constitutional duty to guarantee Albania’s national security. If this security is threatened, Armed Forces have an obligation to provide their contribution”. This was declared yesterday by Interior Minister Sander Lleshaj in parliament while commenting the latest robbery taken place at Rinas airport. According to him, the military is assisting State Police because airport security was breached in a matter of seconds. According to him, there are two options: airport security can be left as it us or it can be strengthened. Therefore, according to him, all the necessary capacities would be engaged to strengthen security. “There’s no reason to be alarmed. Security instruments functioned, despite the fact that one of these instruments failed in the case of airport security. However, police reacted in record time. The investigation will bring quick and clear results”, the minister also declared. “We’re not in a state of war and national security is not being threatened”. This was declared yesterday by Defence minister, Olta Xhaçka in relation to the decision to send military troops to guarantee security at the airport. According to the minister, it’s only the security of an airport which has been threatened and not the country’s. As far as the army’s intervention is concerned, she said that “almost half of the runway is a military structure, while the other half belongs to civil aviation. But the runway is also a NATO facility, because NATO planes land there”. About the accusations that a “military junta” is being created and that national security is being threatened, Xhaçka declared that “there’s no constitutional debate here”, adding that there’s no reason to brief the president, because this was not a decision to go to war and that national security was not at risk. Minister of Infrastructure and Transport, Belinda Balluku has targeted the Chinese company which, according to her, was in charge of the airport security. “When you see Chinese flags waving as soon as you land in Albania, you get the impression that you’ve landed in Beijing. What sort of professionalism is the Chinese company talking about? Which conditions did the Chinese company meet? The ones concerning security? We’ve believed on dialogue, but enough is enough”, Balluku said, adding that the reaction of the Chinese company showed not only a lack of responsibility, but also a failure to perceive the extent of damage caused to the country.